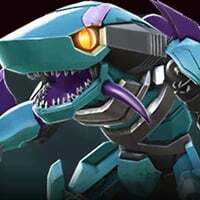 Transformers Forged to Fight: 1 Year Anniversary, New Content, New Features, and Much More! Does anyone in the game have a max sig level 4*? I have seen a dozen or so above 50, but none even above 70. The high end players are capped on bots because there isn't enough to do with powerful bots. Give people a reason to level more than 3 bots and maybe it would give high end players something to do instead of getting bored with leveling yet another r5 bot for nothing. Changing the scale by introducing 5* bots is the wrong move if we're all just going to meet back up here 1 year from now with nothing to do beyond our 3 maxed 5* bots. Sorry, but what would you suggest would be the reward for all that new challenging content then? I don't believe the high end players would be satisfied putting in the time, work and/or money if all they got was another 4* resource to put on the pile. Regardless of how fun and challenging the new content was. I knew 5 star bots would eventually come, but I don't think it should have been introduced until there were levels that were too difficult for maxed 4 stars. Seems like people were complaining levels were too easy with maxed 4 stars, so Kabam introduced harder levels, but also with stronger bots (5 stars) which people will obtain, level/rank up, and then complain this new master level is too easy when they max them out. Well another thing to consider here is that the changes in Apple's policy regarding the disclosure of drop rates for loot crates caused Kabam to move up their timetable with the 5 stars. I'm wondering if they were seeing spending go down after the drop rates were released and so it forced their hand to do this. That said, it will most certainly mean a higher drop rate for 4 stars, though I'm not sure how high it will be. 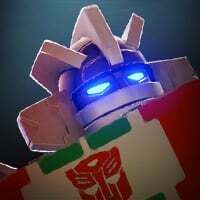 But I do agree with all the sentiments in here that are saying another game mode is sorely needed and that AM needs refreshing either with a new format or new bots/mods (with updates to rank and milestone rewards and AS crystals included). Hope to see that in either 6.0 or 6.1. So, if 5* bots are released, does that mean the drop rates for 4* bots in PBCs and featured crystals will increase? I mean, 1% or less is pretty messed up already. @Kabam Miike , any info on this? @Kabam Miike so does this mean the bot of the month will be offered as 3*, 4* and 5*? Not yet. To begin with, the only way to get a 5-Star Bot will be through the 5-Star Bot Crystal. This might change in the future though. Any update to the Ancient Sanctum crystals @Kabam Miike ? The rewards ain't worth the effort. Not yet, but that doesn't mean we're not going to do it. We'll be looking into some more retuning after the release of 6.0, but frankly, we've been so busy with this stuff that we didn't have time for that. If you were here during our Beta, or joined before the release of 1.1 (which was May 2017) then you'll receive the Anniversary Relic! Awe now Miike gets the cool wave avatar? I think it’s good, kabamers get their own special pic to distinguish them from the rest, nice wave. I like to keep it fresh! Changing it up every now and again. Guys, you ever thought about releasing 2 bots at a time? The player is only allowed to receive 1 of the 2. But it gives the player a more overall control of what kind okc team he has. About what percentage of the player base is the comanders that have fully capped rosters? Is it more than 20%? Does it matter? Even if it's less than 1%, those players are irritated that there's no reason to play anymore. Add that to the players that are nearing the cap, be that next month, or later this year, there needs to be progression for these guys. They are the big players who frankly support the game much more than the guys who don't spend any money. I remember multiple times where @Kabam Miike said there are no plans to add 5* bots to the game. Sadly, this may be the beginning of the end for me. It took me a HUGE amount of time and grinding to max out a 4* bot both in terms of ranking it up and forging. I really have no interest in starting that whole process over with 5* bots. Maybe there is more details to come, but I was really hoping for some new games modes and gameplay features. Just adding stronger bots so you can do the same thing at a higher level is not very exciting. What did you want? To get to a max level and then have nowhere else to go, while other players catch up? That doesn't make any logical sense. They need to open up the limits so top players can keep progressing to stay on top, or other players have a way to get above top players that are resting on their laurels. Too many people that are maxed!? Maybe 5% of players (biggest spenders). Sounds like a major Money grab. Non spenders can’t barely achieve 5/50 4*s ..... oh well. Hehehe, We don’t spend close to as much as you guys seem to believe. But that’s just tge way people think so i ain’t sayin nothing further. You’re right tho. Even if you do, I thank you for ever dollar you spend, you keep the game running (it doesn't run on hopes and magic like a lot of these whiny f2p guys think) and therefore deserve to have the top bots. "I should be able to have top bots even though I don't spend any money, Kabam employees should be giving it all away for free and just not be able to support their families because we want a totally free game, I don't care that it's actually their job as programmers and artists, and they should just pay for the server costs out of their pocket so we can play a free game"
My guess is most of them are kids who didn't even buy their phone, their parents did. Grow up. Stuff costs money. Kabam needs money to make the game run. Without the spenders, there's no game. Period. Go play Angry Birds if you don't like it. Then there’s players like me that have earned both of my r5 bots. A lot of the top end players hav gotten where they are with patience, activity, and most of all, skill. When can we see a T3b trade option? Ancient Sanctum is adding Difficulty 81 to 100 for Alliances that feel that they can brave those Challenges, and raises the ceiling as players start ranking up new 5-Stars. Can you also consider reinstating map 2 levels 60-100? when will this patch drop @Kabam Miike ? Any estimated date and time? I’m going to guess April 5th, but we’ll know for sure come March 28th when the countdown starts. Rofl I don’t need to. I can finish my spotlights on my own. First of all thank you to Kabam for taking into account a large part of the regular players' requests to compose this next update. I have been playing very hard since the end of April 2017, and for several months, I began to feel a certain weariness. What allowed me to hold on until now is to be the leader of an alliance where there is a great atmosphere and the same pleasure to play. In view of these future changes this will help give a second wind that game and it is a very good thing. However, I have some fears about future masterpieces such as "perfect block" or I'm afraid it sounds too much like "parade" in MCOC that could be a stunt and will spoil the great capabilities of this innovative gameplay. To finish with the arrival of the 5 * whether it is up or not, I do not really have an opinion on it, I think it is also necessary for the big players who stagnate and that it will allow the average player to settle long-term goals and therefore be faithful to this game over time. only questioning and so far I have seen no answer to this kind of request, is a game mode similar to alliance war in mcoc is expected in the near future on Transofrmer forged to fight . Because I think that it would really make it possible to exploit even more the possibilities of this game and to be able to fight between alliance !! Once again thank you for these changes and I have only a hurry to test this next update! Can you put the word in that those repair kits in the Map 3 crystals needs to go? 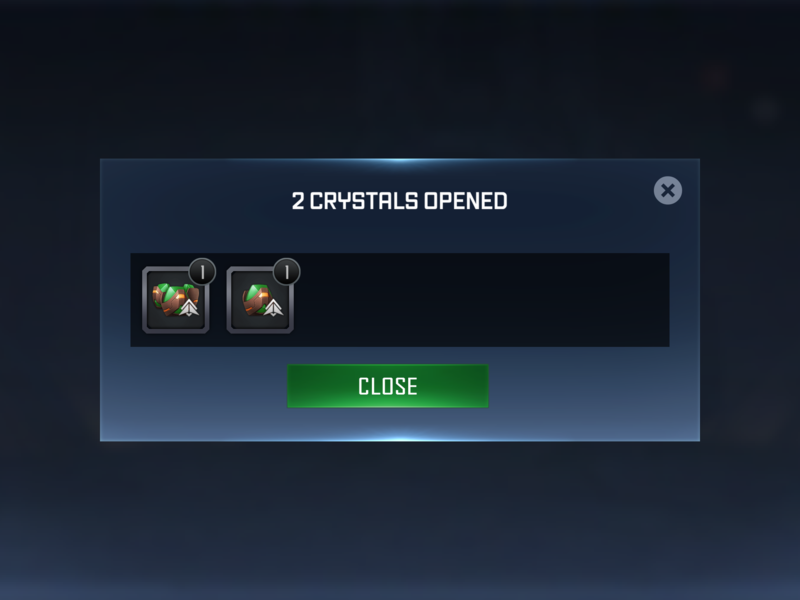 It's hard enough to work towards a T3 without your two crystals coming up like this.